AMC’s long-running series “Mad Men,” which airs its final episode on May 17, has been celebrated for getting the details right as it visualizes the glamour of 1960s Madison Avenue. 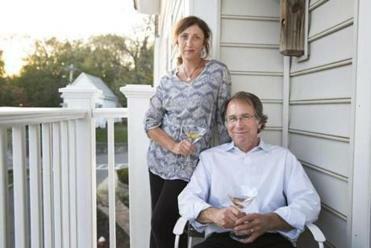 The show’s depiction of food and cocktails inspired Needham-based authors Judy Gelman and Peter Zheutlin to create “The Unofficial Mad Men Cookbook.” The wife-husband team researched how food is used in the series — from the cookbooks on a kitchen counter to a poolside cocktail — for their collection of 70 recipes that form a snapshot of the era. All of this takes dedication, watching the programs regularly, and studying what’s on them. For her “Mad Men” book, Gelman wanted to represent all the food, not just glamorous meals at Sardi’s or the Grand Central Oyster Bar. So she offers a weeknight casserole of turkey Tetrazzini with canned fried onions, the rumaki that Betty Draper prepared for her “Around the World” dinner party (chicken liver slices folded over water chestnuts and wrapped in bacon), and a Royal Hawaiian that Pete Campbell was likely sipping as he sat poolside. 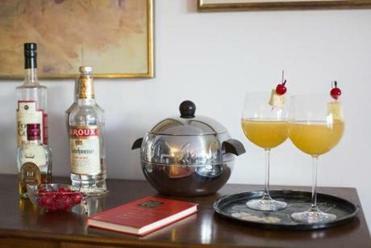 Gelman contacted Beverly Hills Hotel bar manager to come up with a rum, pineapple, and papaya juice drink served at the hotel’s Polo Lounge in the ’50s and ’60s. When that kind of resource wasn’t available, Gelman used the historical cookbook collection at Radcliffe Institute’s Schlesinger Library and other sources. For a stuffed crown roast of pork that Joan Harris makes in her apartment, Gelman referred to “The Small Kitchen Cookbook” (1964). For Pete Campbell’s rib-eye, she drew on “The Madison Avenue Cookbook.” “The Better Homes and Gardens New Cookbook” and “Betty Crocker’s Hostess Cookbook” were both spotted in the Drapers’ kitchen and became resources. Gelman was first attracted to the intersection of food and fiction when she wrote “The Book Club Cookbook,” in which she and co-author Vicki Levy Krupp re-created historical recipes and invented new ones inspired by works of literature. Book clubs have long created themed menus. Judy Gelman and Peter Zheutlin. The “Game of Thrones” book came about when Monroe-Cassel was looking for an iconic recipe to serve for a viewing party in 2011. “You could find a lemon cake recipe, but not a lemon cake that was plausibly from that world,” Monroe-Cassel says. 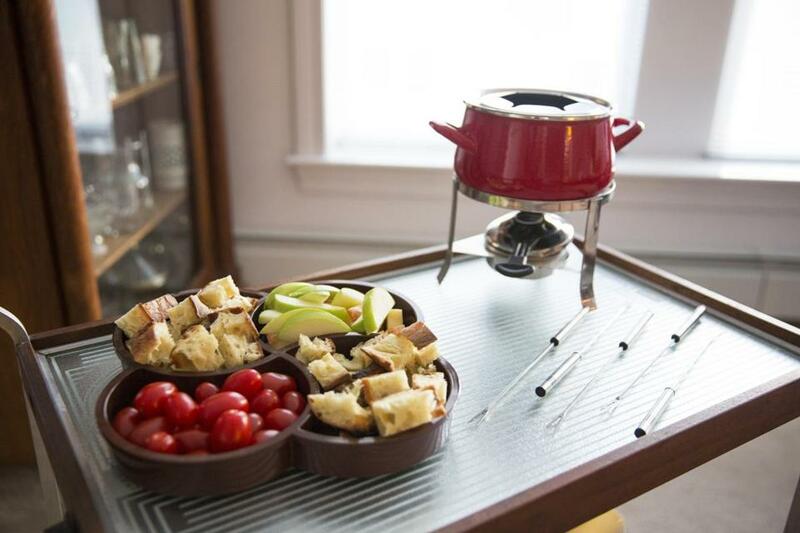 A recent graduate of Boston University with a degree in classical history, she used an 18th-century recipe from the Bahamas to create her own “small, simple, rustic” cake. The cookbook author hears from readers about their experiences in the kitchen. “It’s the same reason some people do cosplay from shows or books or movies. That’s one way of connecting to it and understanding it on a more personal level. I think that food is a really terrific way to do that too,” she says. Michael Floreak can be reached at michaelfloreak@gmail.com.